Tax can be a confusing subject – with all of the legislation and terminology, it’s easy to get bogged down. 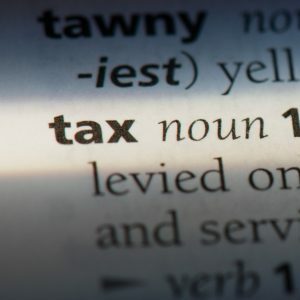 But our online dictionary is here to help you understand some of those taxing terms. We’ve put together some of the most frequently used terms to make life easy for you when tax-time rolls around. This is the form you will need to complete in order to claim your tax rebate. You will be required to include your income, earnings and personal circumstances. This is the money HMRC will refund back to you if you have overpaid in tax. In order to claim your tax rebate, you will need to complete a tax return form. CIS is a scheme established by HMRC to direct how payments should be handled by subcontractors and contractors to HMRC. Under the scheme, subcontractors will be required to pay 20% upfront to contractors. You can find more information about the CIS in our guide. PAYE is the method of paying income tax and National Insurance contributions. If you’re working under PAYE, your employer will deduct all tax and NI from your wages before paying you. If you have incurred any costs for your business, you can claim tax relief as long as they are used wholly and exclusively for the purpose of the business. You can find a list of claimable expenses here. This is the process of giving details of your income and profit to HMRC in the form of a tax return. Her Majesty’s Revenue and Custom is the department that deals with tax. A contractor is a self-employed worker who is hired by a company to complete a task for a period of time. A subcontractor is a worker who is employed by a contractor. National Insurance contributions are deductions from your wages which are used to pay for a number of state benefits. The tax year starts on 6th April every year and runs until 5th April the following year. Having the right support can make all of the difference when it comes to your money. The team at Brian Alfred are experts in all things tax, so you can rest assured that you’ll always receive the best advice possible. To find out how we can help you to claim your tax rebate, give us a call on 0800 464 0352 or email tax@brianalfred.co.uk.